This is a guest post by the blog Translating Lawyers. The subject matter is very relevant to our work as judiciary translators and interpreters. What’s the Difference between a Notary and a “Notario”? 1) Qualifications: In the U.S., qualifications to become a Notary vary significantly from state to state. Most states, however, require filling out an application, being a resident of the state, in which one applied to be a notary, and paying a fee. In Latin America, qualifications also vary significantly from country to country, but most countries require either a law degree or an equivalent of a law license. To make matters more complicated from a linguistic point of view, there is no such thing as a “Notario” in South American countries like Argentina, Paraguay, and Uruguay. Instead, way down south we have “Escribanos Públicos,” whose duties and responsibilities differ even more greatly from those of American Notaries and are much closer to those of Civil Law or Latin Notaries. One should always avoid translating Notary Public literally as “Notario Público.” But how, then, do we translate this term? There are several options. “Notario anglosajón” is a commonly used translation in specialist literature written in Spanish, especially on the other side of the Atlantic. It appears to be a preferred term by the “Colegio Notarial de Madrid” and similar authoritative sources. Of course, the problem with this is that many Spanish speakers reserve “anglosajón” to qualify nouns referring to things that are British. Perhaps for that reason, several Colegios Notariales in the Americas use “notario angloamericano” instead. It’s worth noting, however, that “angloamericano” may not be appropriate in texts that are intended for less educated speakers or that require a lower language register. Notary americano, notary norteamericano or notary estadounidense: Although these are not options I would use myself, I’ve seen them in several texts translated into Spanish in the United States. Assuming in context that these options are not ambiguous, I still see two additional issues: 1) Why go with Spanglish when you can translate the term in full and render a more naturally flowing target text? 2) Why use politically charged language? While it is very common to hear “americano” or “norteamericano” in the U.S., Mexico, and Central America, many Spanish speakers throughout the Americas strongly object to “americano” or “norteamericano.” This is, of course, a political issue, but depending on where and how the target text is intended to be used, a little political awareness can go a long way. Notary Public: Many authoritative sources (including specialist literature in Spanish by the International Union of Notaries of which the United States is not a member) leave the term in its original language when referring to American Notaries. This might be the safest bet in many contexts. 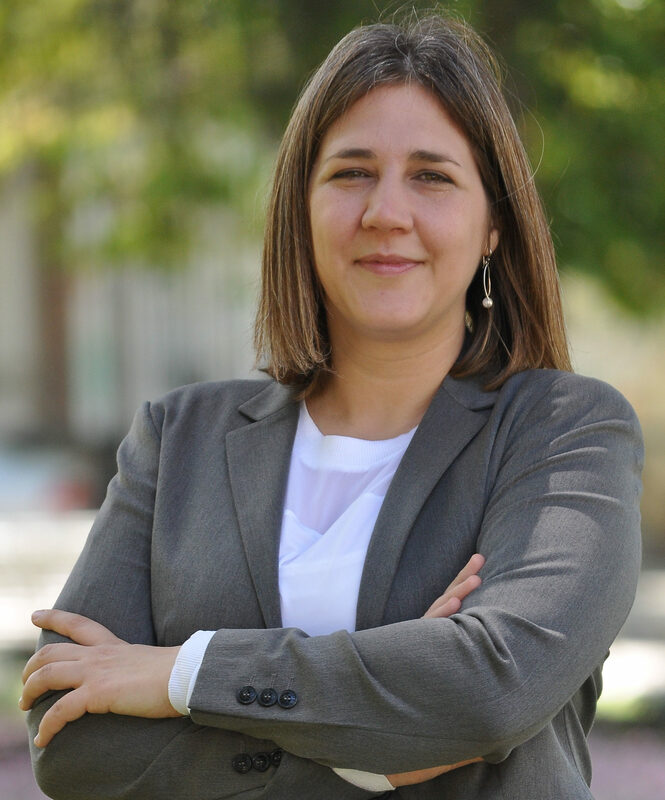 Paula Arturo is a Lawyer, Translator, and Law Professor, with nearly two decades of experience in the language profession. She is a co-director of Translating Lawyers Academy, an online academy that helps legal translators hone their writing and translation skills. She is a founding member of ATA’s Law Division, Co-head of Legal Affairs at IAPTI, and member of the Public Policies Forum of the Supreme Court of Argentina. Her bragging rights include translating the works of several Nobel Prize laureates and world-renowned jurists. Paula can be reached at info@translatinglawyers.com. Great article! Thank you, Paula. The Texas Secretary of State has also prohibited notary publics from advertising with the term “notario publico”: https://www.sos.state.tx.us/statdoc/ntpublicosp.shtml. I usually translate it into Spanish as “fedatario”: https://dle.rae.es/?id=Hic6RSj. Do you think that’s adequate? That is the correct term, in my opinion, because fedatario is someone who witnesses a signature. I like this. What then would you use for the verb “to notarize”? Thank you for your comment and link, Marco! I appreciate it. I think “fedatario” can be a good option in many contexts. However, “fedatarios” are also public (administrative and even court) officials in some jurisdictions. So it all depends on where the translation will be used and whether or not it can be confused with a different type of “fedatario” in the target country. John said below that Sandro Tomassi suggests “agente certificador.” That may be a good choice in many contexts as well. This is one of those cases in which context is king and functional equivalence beats any other translation method. There are countries where to be a Notary one first has to be an Attorney! … which is not the case in the United States. Now, the Notary has an office, where there are other people who prepare the documentation to the end, but in order for those documents to be valid, only the Notary can sign them and no one else. Yes, Paula, I echo Marco’s sentiments about this excellent article. The use of phrases such as notario,” “notarizaciones,” “notarizamos,” or “notario publico” is severely restricted in Wisconsin, as well. See Wis. Stat. § 137.01(1)(i)4. Sandro Tomassi proposes in his criminal law dictionary the term “agente certificador” for notary public, an ingenious solution, in my opinion. That is the expression that I typically use. I translate “notario público” into English as “civil law notary”. Paula, I am curious to know what you think about those suggestions. Thanks for your feedback and for sharing this statute, John! Now I’m curious to see if the term was restricted in other states as well. And by that I mean I will spend a great part of my weekend looking that up! About Sandro’s suggestion, I think it can absolutely work in many contexts. I also like “federatario” as I mentioned in my reply to Marco. Into English, I prefer Civil-Law Notary, too. I have yet to meet an American lawyer that could not intuitively decipher what a Civil-Law Notary is. So it works well and doesn’t clash with any other common law equivalents. In Maricopa Superior Court, we used to call the (American) ‘notary’ a ‘fedatario’ because that’s what they do: dan fe de lo que tienen ante sí. Why oh why must language be raped for the sake of ignorance about the meaning of… uh, language? Seems to me like the epitome of overreaching when someone will take it upon themselves to come up with their own brand of new and improved language because the original, real, actually recognized language could possibly lend itself to be used as a tool to deceive the ignorant. It has been known for decades if not centuries that countries with a legal system based on Napoleonic law use notaries public to perform certain functions that attorneys perform in English law. It has always been, notwithstanding, called a notary public, and it has always been translated as notario público. ALWAYS! And I’m sorry if anything I say offends anyone. Try and keep a sense of humor. Okay? I say that because I can already feel some people’s angst boiling over because a notary public in the US is nothing more than an official that witnesses signatures, and not a bureocratic retrograde that stamps a document 17 times and has it transcribed by hand into a big cuaderno by some underpaid transcriptionist with quasi-decent penmanship, while reciting something tantamount to Cervantes high on acid blended with 15th Century reguetón. Why change the language when the definition of a word can be different in another language and culture? And before you tear me a new sunrise (see what I did there?). – if not, please look up the literal meaning of the word “orto,” not the vulgar argentinismo version of it – allow me to illustrate. The word “Fiscal” can be used as “District Attorney,” “Public Prosecutor,” “Tax,” “Prosecutor,” and If you add any of a number of words to the front of it, well… año fiscal -apartado fiscal – paraíso fiscal – archivo fiscal – cédula de identificación fiscal – ministerio fiscal – promotor fiscal – valoración fiscal… and you can keep going with this one word until your head explodes. And there are thousands of words that based in context, origin, geographical use, etc., fall far from their etymology in one language, another or both. That’s why we have definitions after a word or term. If the functions of a notary public vary according to the powers conferred to him/her under different derivations of different law codes (Roman, Napoleonic, Justinian or Jurisprudencia de Goajiro en Alpargata con machete en mano), he/she is still a notary public. The functions change. Don’t make him a fedatario testiculario or whatever other silly thing. Just define what “it” means in the particular scenario of interest. No? Of course not. LOL. All right, all right, this is why I LOVE this blog and I hope it never changes. Go ahead, tear me a new sunrise, won’t you please? Genius! 😀 Nothing like showing a sense of humor while developing an idea regarding a topic as intellectually complex as language. In the end, simplicity and common sense prevail. (… usually.) Salud! Fedatario is the correct term, at least for dealing for people from Mexico, as the term is used there. A Notario has to have a law degree,, as well as be extremely trustworthy, and has functions that are more similar to a Commissioner, in some aspects. The Notarios are extremely well respected in the community. So what do you use for notario when translating into English? Hi Chris, please see my reply to John above. Witnessthereofian, of course. Good grief! Question: Does anybody have a good translation for ” Notaría Pública”.? I understand the “Notaría Pública” in México is a government entity, pretty much like the Public Defender’s Office or DA’s office in the USA. Since the USA does not have such an entity, how would you translate “Notaría Pública” into English? So what is “Notaría Pública” in English? Too much? Heheheh. We must never stop laughing at ourselves. “Notary Public’s Office” would make sense but even better: “The Office We Don’t Dare Speak Of.” Or, “The Place Where A Person That Is Called A Notary Public And Doesn’t Know He Isn’t A Notary Public Anymore On Account Of There Have Been Some Notaries Public That Prevaricated In Their Positions In Order To Deceive Those That Have A Different Understanding Of The Duties Of A Notary Public In English/American Law As Opposed To Their Laws In Their Reapective Countries Of Origen.” That one makes more sense, of course. Or “Not What You Think A Notary Public Is Office.” I like that one better. LOL, sorry about that. I just don’t get it sometimes. I’m only kidding though, all right? I am unpersuaded by the arguments that suggest that we should not use the term “notario” in court (in both English and Spanish). In the U.S. context, a “notario” is what it is: a fraud, a cheat, a person who gets immigrants into more trouble than they may already be in. The arguments about what a “notario” refers to in Mexico or Peru are, in my opinion, irrelevant. What possesses me to make such a claim? Because what counts is what the term means in the U.S. context and I was disappointed to discover that neither the article nor any of the comments in the blog make reference to the importance of the U.S. context. In many cases, the idea of the existence of “U.S. Spanish” as a separate variety of Spanish may be far-fetched: it is too much all over the map and its speakers almost always speak a variety that is similar in many ways to the variety of their ancestors (Mexican, Cuban, Colombian, etc.). But in the case of some specific terms, like “notario,” I would make an exception: this word is an integral part of United States Spanish and must be dealt with on its own terms and within the U.S. context. I believe that for the purposes of its use in U.S. courts, what “notario” means in Mexico or Chile takes a back seat to what it means here in our world. Yes yes yes, Andre. The concept of boiling down every word we use to a single universal definition that defies all critical thought is what Orwell referred to as “Newspeak” in his dystopic regime of the novel 1984. Leave language alone and it will sort itself out by the intellectual contributions of the language users. Start censoring it and you run into the first critical step to being forced to believe, against your better judgment and out of fear of reprisal, that 2+2=5. It is true that there is a huge difference between a U.S. Notary Public and a Notary Public in Mexico. That said, I agree 90% with the comment of Alfredo Babier of February 9, 2019, 0013 Hs. I don’t particularly like the rest of his blogs. I disagree with the term Civil Law Notary, it could be interpreted as if he/she could only intervene in civil cases, which it is untrue and could be deceiving. As per the assertion of Silvina Magna that in Mexico “Notaría Publica” is a government office, nothing further from the truth. Each Notario Publico is independent and owns and supports his/her office. Regarding her question, in my opinion the correct translation for Notaría Pública is Notary Public’s Office. I agree one hundred per cent with Ezequiel Quijano: “In the end simplicity and common sense” should prevail. Not only in this case but in most of the interpretation and translation cases.